Are you interested in building your own above-ground swimming pool? This is something that you can do if you have the proper tools and materials. Pallets can even be used to build a swimming pool above the ground. A little creativity is all that you will need to build a pallet swimming pool. 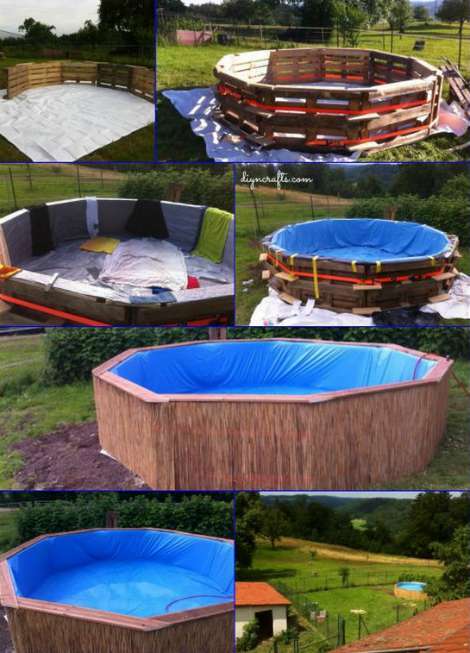 A pallet swimming pool can be constructed in sections that are easy to assemble. The main thing that is required is being able to secure the sections. This can be done with screws or nails. Your pool can even be covered with some sheathing to give it a finished look.